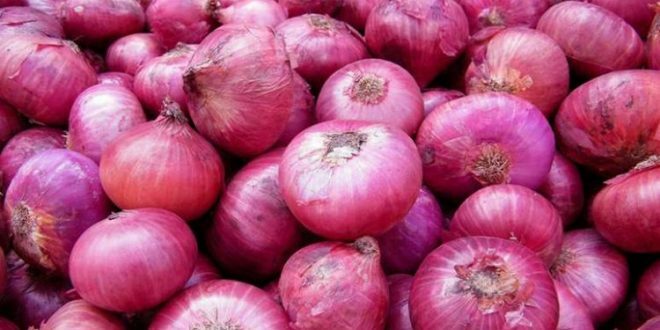 Bhubaneswar: In order to control price rise of onion in the state, the Odisha government on Friday imposed stock limits for the traders. As per the government’s decision, the traders in Cuttack cannot stock over 500 quintals of onion. The traders in Bhubaneswar, Puri, Berhampur, Sambalpur and Rourkela can stock up to 350 quintals of onion, informed Food and Consumer Affairs Minister Surjya Narayan Patro. The Minister said actions would be taken against black marketing and illegal hoarding of the essential item. The prices are expected to normalise within 10 to 15 days as the southwest monsoon already hit Odisha, Patro said.